Get your cellar organized with the new PWC today! Get "drink by" dates with a click of a button. 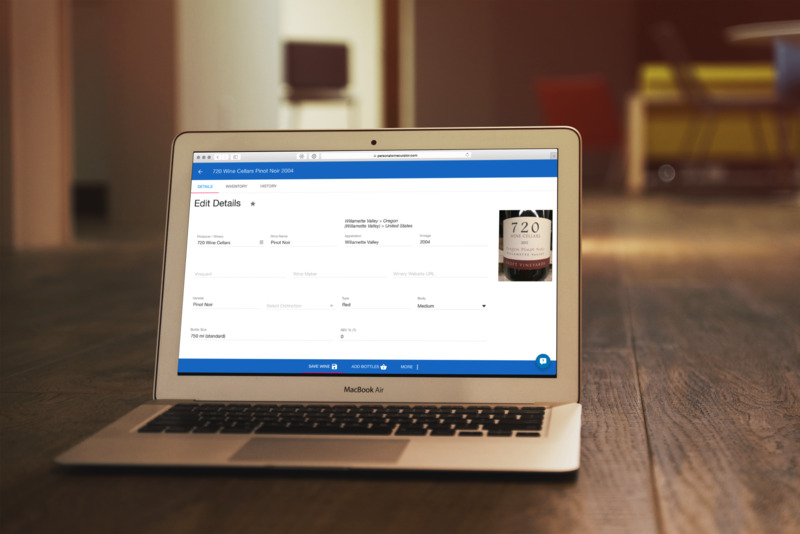 If you want a wine cellar management system that is simple and intuitive, affordable, and designed for people who love to drink wine much more than they love their computer, The Personal Wine Curator wine cellar software is the perfect wine storage software. Wow! That aging potential tool is way, way cool. Bloody amazing!! Again wow!! I just wanted to write you guys to tell you how impressed we are with PWC! I did a lot of research to try to find a software that fit our needs. We have around a 1,500 bottle collection and needed something to maintain the inventory. Even though I have a Computer Science degree I really didn't feel like reinventing the wheel; your product is perfect. I have recommended PWC to several friends. The best technical support I have ever had! I'm a customer for life! PWC is the third Wine cellar management software I have tried over the past year and it is by far the best. It is easy to use and is very intuitive. I was entering data within 10 minutes of downloading the trial version. For the wine novice it has numerous drop down menus which make it easy to categorize your wines and contribute to your wine education. I want to thank you for the outstanding service your company provides. The technical support is exceptional. How you can provide a product of this quality and back it up with the level of technical support you provide amazes me. I love this program! I couldn't be happier with my choice of software and the support and personal attention I have received from the Wine Curators staff exceeded any expectation I could have had.